Bajirao Ballal (Balaji) Bhat also known as Thorale (Marathi for Elder) Bajirao was the son of Balaji Vishwanath, first Peshwa of Chhattrapati Shahu . He was born on 18th August 1700 and appointed by Shahu as Peshwa upon the death of his father at Shahu's camp at Masur , 30 miles east of Satara on 17th April 1720 exactly a fortnight after his father's death. Bajirao headed almost all important campaigns of Shahau and fought over 41 battles and is reputed to have never lost one. The Nizam in order to uproot the Shahu propped up a coalition of Sambhaji II of Kolhapur, Chandrasen Jadhav, Udaji Chavan and Rao Rambha Nimbalkar against Shahu. When Peshwa and his troops had gone to collect Chauth in the south (in 1727), the Nizam's forces made a surprise attack on Poona, whereby he proclaimed Sambhaji II to be his accepted Chatrapati. (Satara too came under threat and Chatrapati Shahu himself had to seek refuge in fort Purandar near Saswad). Hearing the news of the attack, Bajirao's troops proceeded towards Pune . The Nizam was already waiting for the Peshwa with a huge army and artillery. But the Peshwa Bajirao was a step ahead of the Nizam as far as war machinations were concerned. Instead of confronting the powerful Nizam's artillery in a pitched battle, he created a detour by plundering the Nizam's territories like Jalna, Khandesh and proceeded toward Burhanpur, a rich mughal outpost in the control of the Nizam. Bajirao thus forced the Nizam into leaving his base and giving the Peshwa a chase. However, the Nizam had to leave behind his heavy artillery in order to catch up with the Peshwa's army. This was precisely what the wily Peshwa wanted. As the Nizam's army progressed towards the Peshwa, midway at Palkhed (a hill tract near Aurangabad) the Peshwa managed to trap and surround the Nizam and harassed him with lightning fast raids on his camps. The Nizam found himself in a precarious situation, surrounded without food and water supplies for days and his army slowly bleeding due to non stop Maratha raids. The Nizam then chose to recognize Marathas as supreme power in the Deccan and sadly agreed to sign a humiliating treaty at Mungi Shevgaon (6 March 1728), whereby the Nizam agreed to accept Shahu as the sole Maratha Chhatrapati and give up the cause of Sambhaji II forever. The Maratha rights for chauth were also recognized whereby Maratha kingdom collected 25% tax on all production in these lands and within a few decades, all parts of the sub-continent. In October 1728, Bajirao and his troops launched an attack on Malwa. His contingent included his brother Chimaji Appa, Tanoji Shinde, Malharrao Holkar and Udaji Pawar, all of whom later reached great heights in their respective careers as Generals and Rulers of the Maratha Empire. The Maratha forces defeated and subdued the Mughal forces and captured Malwa in many bloody battles. Just about the time that Nizam-ul-mulk and Bajirao were engaged in hostile operations during the early months of 1728 in the south, Muhammad Khan Bangash attacked the Bundela king with a large force commanded by himself and his three valiant sons and defeated him on several occasions. After a sanguinary action in June 1728 Chhatrasal betook himself to the fort of Jaitpur, which the Bangash at once invested. The siege was long and arduous. 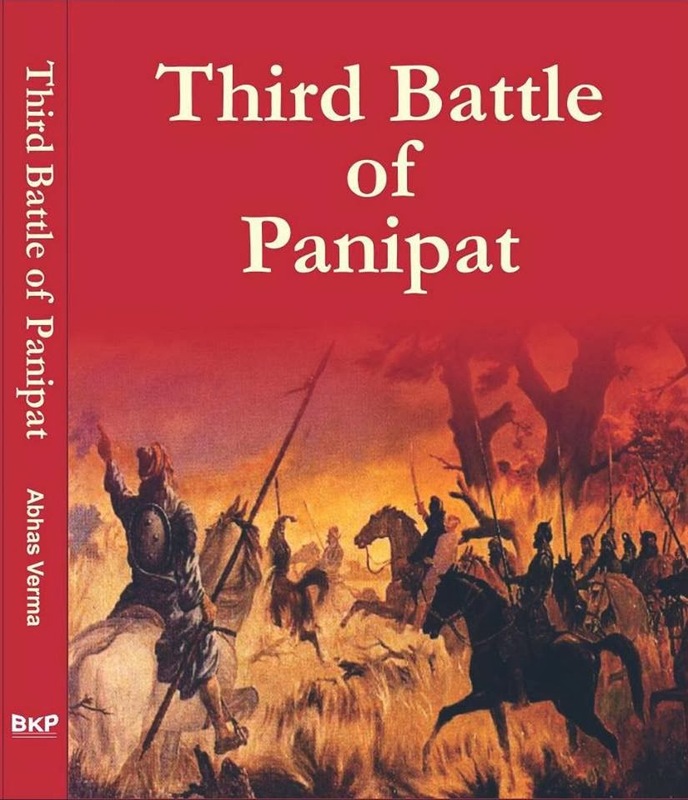 In December 1728 at the moment when Chimnaji Appa invested Ujjain after his signal success at Amjhera, Chhatrasal was so hard-pressed at Jaitpur that he desperately attempted to fight his way out and came to be captured severely wounded along with the fort. He sent urgent messages and piteous calls both to Chimnaji Appa at Ujjain and to Bajirao, to come with all speed and save his life and fortunes. Chhatrasal sent a message to Bajirao calling for his aid. "जो बीती गज-राज पर, सो गति भायी है आज, बाजी जात बुन्देल की रक्खो, बाजी लाज"
Responding to his call, Bajirao went to Bundelkhand and defeated Bangash in battle of Jaitpur. When Bangash retreated, Chhatrasal happy by the deeds of Bajirao, declared him as his third son and awarded one third part of his kingdom to him. Maratha senapati Khanderao Dabhade was officially given charge for Gujarat by Chhattrapati Shahu himself, after the former had defeated and subdued the mughal military officers in that state. After the death of Khanderao in 27 Sep 1729 his son Trimbakrao Dabhade was made senapati. In Gujarat there was another player in the form of Hamid Khan who was a protégé of Nizam ul Mulk. When the mughal emperor despatched Sarbulund Khan in July 1724, to get control of Gujrat which was engulfed in rivalry between mughal nobility, Hamid Khan entered into an understanding with Bande to prevent the imperial interference. He gave him the right to collect chauth towards the north of river Mahi. Bajirao then asked (through his representative Udaji Pawar) Sarbulund Khan to grant him the chauth rights of Gujarat but was spurned. Hence, Bajirao despatched his brother Chimaji Appa to Gujrat who looted the towns of Petlad and Dholka. Sarbulund Khan was unable to simultaneously tackle Bande as well as the Peshwa's armies, he was overpowered and defeated by the Marathas and was forced to sign an agreement with the Peshwa in 1730 whereby the Peshwa was given the right to collect chauth and sardeshmukhi for Gujarat region (seaport of Surat was excluded from this agreement). All this did not sit very well with the Mughal court and they replaced Sarbulund Khan with Abhay singh, son of Ajit singh of Jodhpur. But Abhay Singh was powerless to face and or defeat the Marathas and he too reconciled with the idea that the Peshwa was the only person who could rein in the free- booters in Gujarat and compromised and struck a deal with him. Meanwhile, the treaty between the Mughals and the Peshwa was not acceptable to the Maratha Senapati Trimbakrao Dabhade, who considered the Gujrat affairs his hereditary right . He was already had ego clashes with the Peshwa, who he was not entirely comfortable accepting as a second supreme authority after the king. Note, the Peshwa on his part was also encouraging new blood like Holkar-Shinde-Pawar and starting on war campaigns without consultations with the sarsenapati.Now this Gujarat issue only aggravated matters further. Sarsenapati Trimbakrao Dabhade then accused Peshwa Bajirao II of breaching the contract made between the Dabhade family and Chatrapati Shahu.Finding the king not very supportive, and evasive in the matter, he decided to take on Bajirao directly. In a skirmish that followed at Dabhoi in April 1731, Trimbakrao Dabhade was killed (Pilaji Gaekwads son Sambhaji also died in that battle). Also captured were rebels like Udaji Pawar (he had fallen out with Bajirao) and Chimnaji Damodar who were fighting on Dabhade's side.